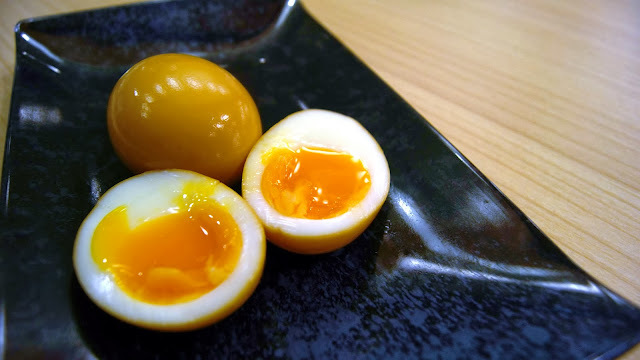 As mentioned in my "About Me" section, I'm a big fan of Japan, be it Japanese Food, Culture, Language, Anime etc. 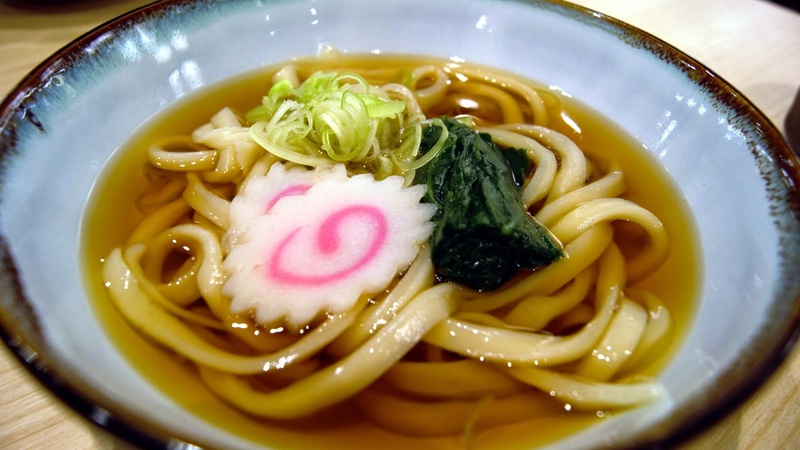 Since young, I've always been a fan of Japanese food such as sushi, tenpura, ramen, donburi, soba, udon, sashimi and so on. But ever since I visited Japan last year, my perception towards Japanese food changed. 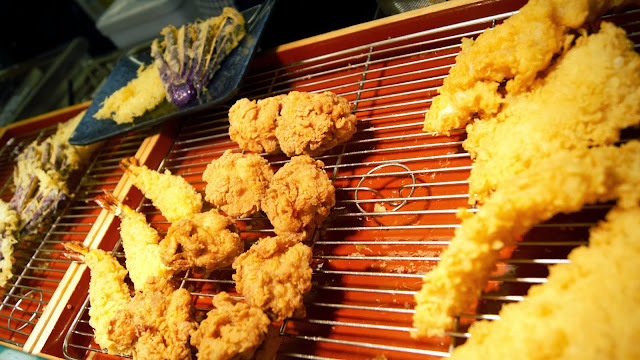 My expectation towards Japanese food sky-rocketed. 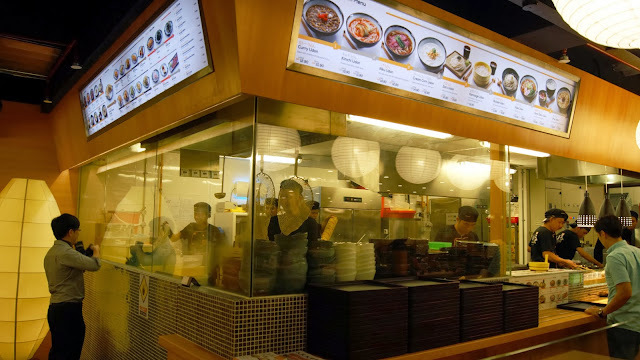 So I am really ecstatic to finally find one Udon fast-food restaurant that really impressed me. 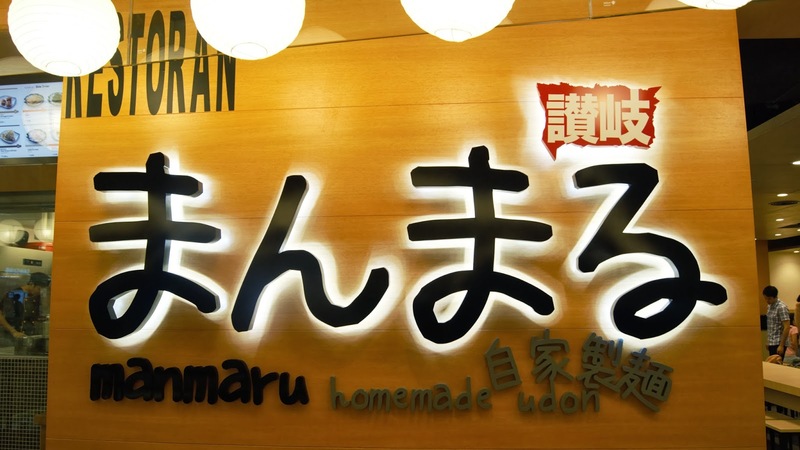 What I loved about Manmaru Udon is the self-service concept there, which is exactly how they do it in Japan. Patrons have to make their order & payment at the counter first, then be seated & chillax while waiting for your noodles. 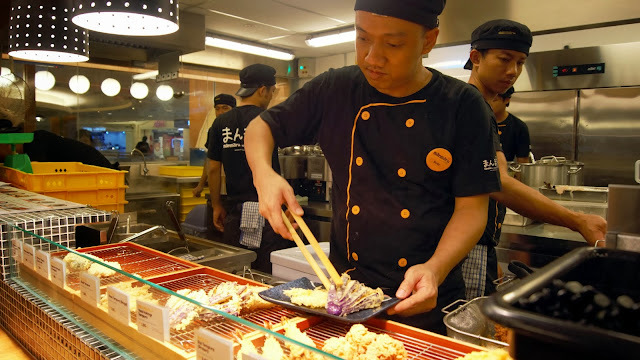 The open-kitchen concept enabled the patrons to observe how the udon noodles were prepared from scratch with awe. 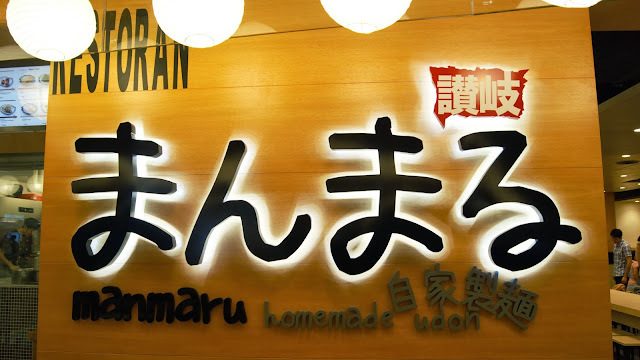 What makes Manmaru Udon stands out from other restaurant serving Udon is the quality & freshness of the Udon. 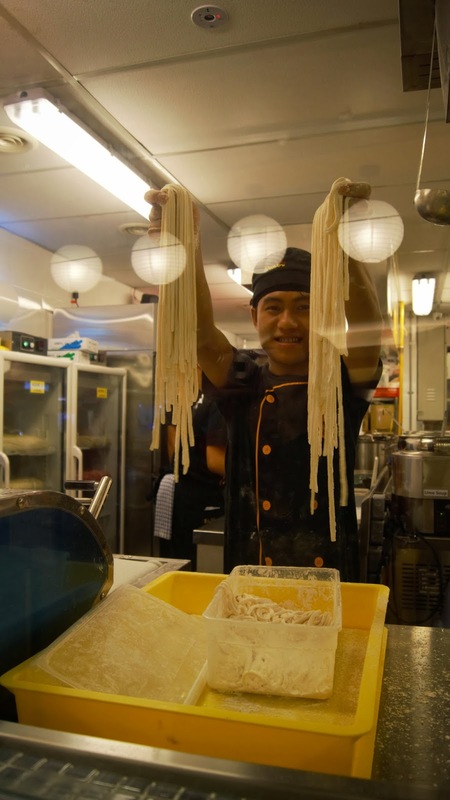 Each strand of noodles were made from scratch in store using quality wheat flour imported from Japan to ensure the quality & the "Q-ness" of the noodle is upholded. The owner of Manmaru Udon even traveled all the way to Kagawa, Japan which is famous for Udon to learn the art producing a perfect bowl of Udon. You can also pair up your Udon with these lovely & crunchy deep-fry fritters (tenpura) to complete your dining experience ! 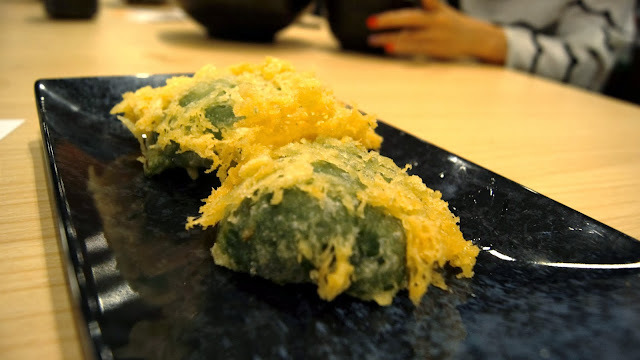 I was really impressed on the array of tenpura served! 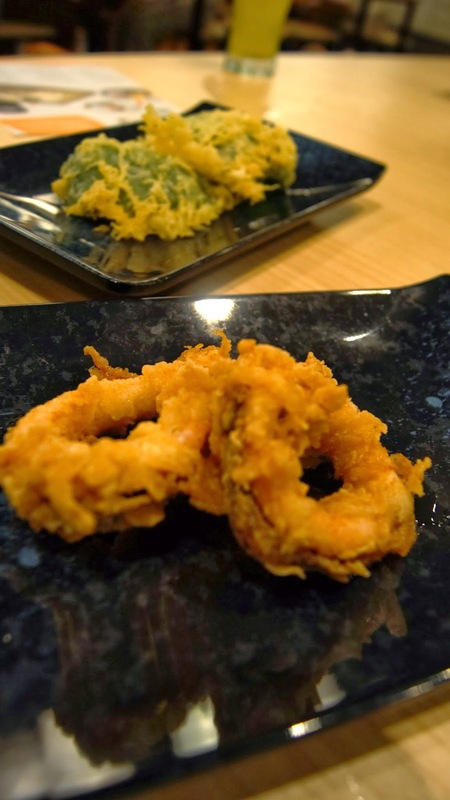 From ebi (prawns) to karage (chicken)..ika (squid) and so much more! Kimchi,spicy fermented vegetables, is a staple food at Korea. The kimchi broth was really appetizing and flavourful. Each strand of noodle, which was cooked till el-dente, was coated evenly with the flavourful broth, tantalizing my taste buds with each bite. 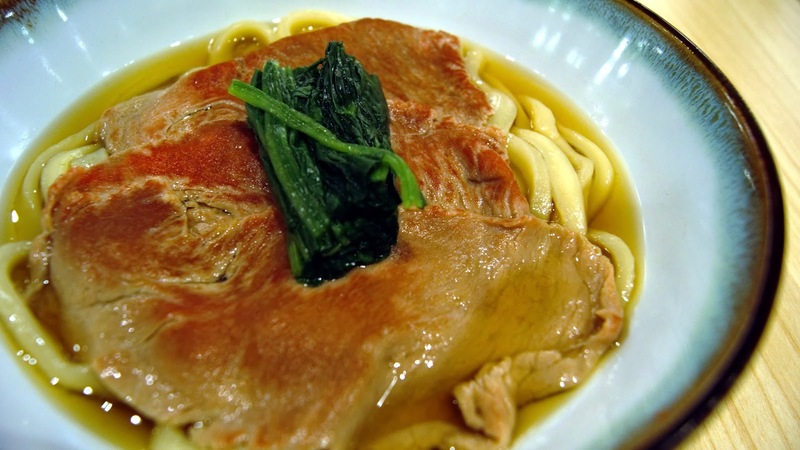 Udon served with thinly sliced beef & spinach. The beef slice was tender & flavourful, it sort of give me the "melt-in-the-mouth" sensation. A must-order for beef lovers out there. 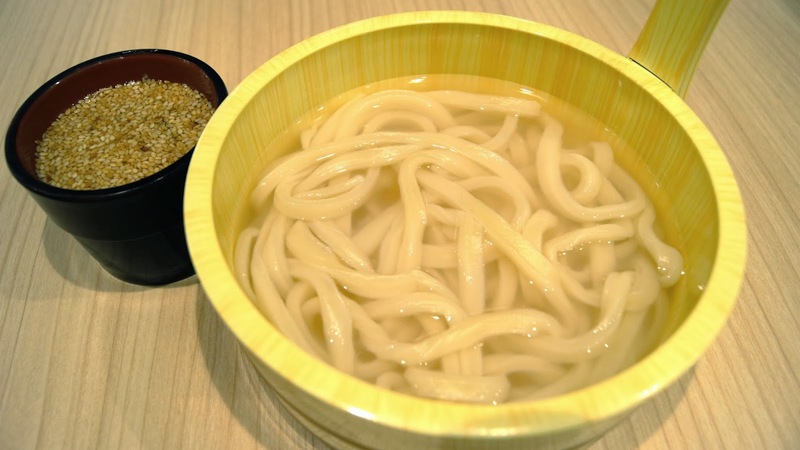 Cold Udon, served with a dip-sauce. 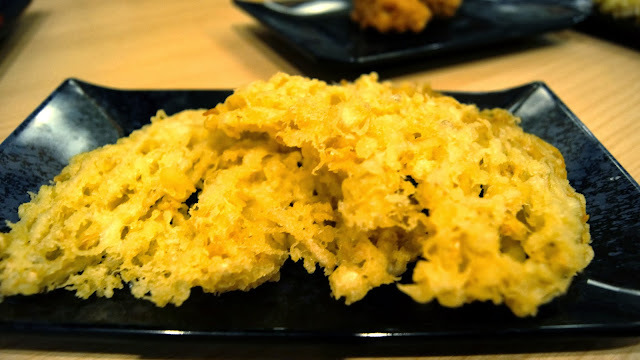 The long, lovely, firm yet chewy texture of the cold noodle, coated in the dipping sauce was a delight to my taste buds. 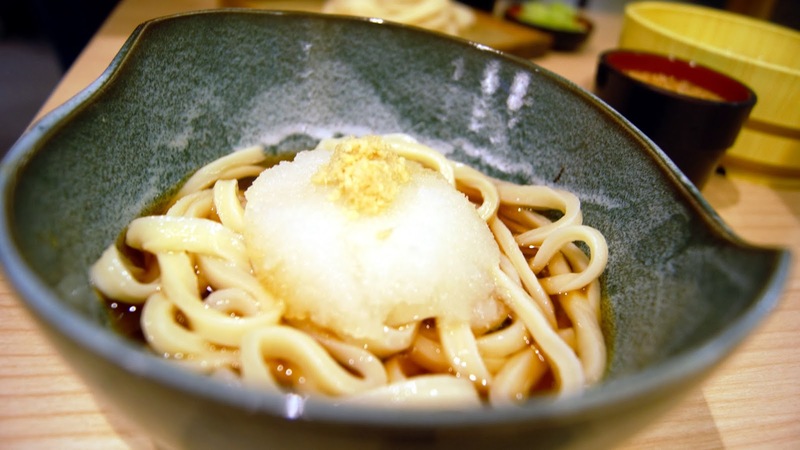 Cold Udon dashed with thick fish broth. 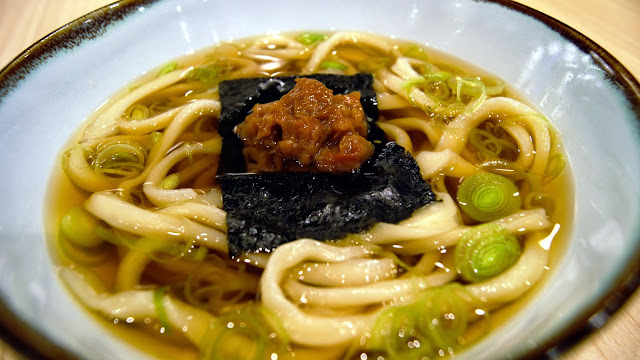 I enjoyed this dish as much as I enjoyed the Zaru Udon as I am more inclined to cold food so this was really appealing to my taste buds, along with the flavourful fish broth. 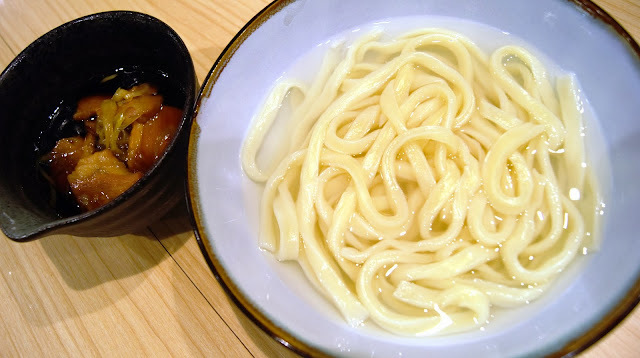 Udon served with sour plum. 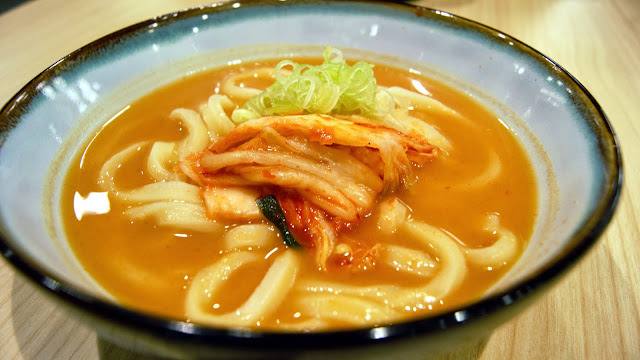 This udon was sourish & refreshing. 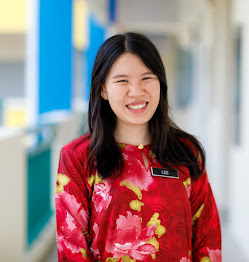 Felt a little like tomyam soup, minusing the spiciness & greasiness of a tom yam soup. 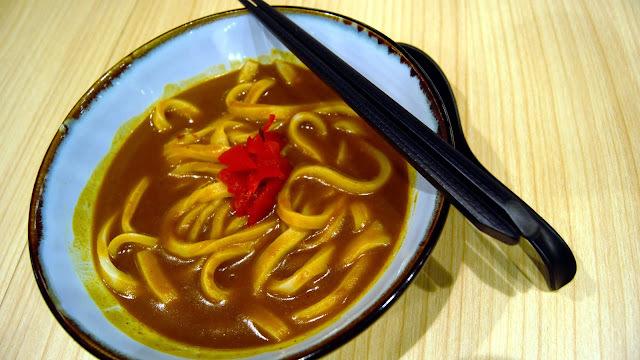 Udon served in a thick, aromatic & sweet curry broth. Japanese curries tend to be on the sweet side so if you're a fan of Japanese curry go for it! 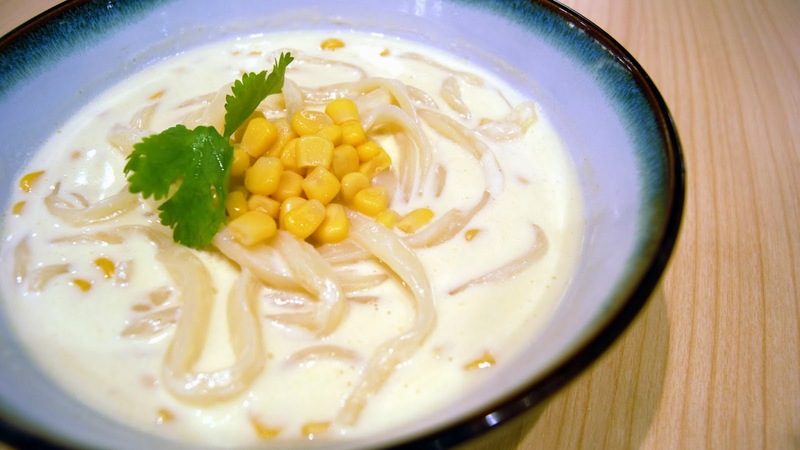 Another bowl of Udon that truly stands out. The springy and Q udon was served in a tasteless broth, what makes this Udon win my heart was the smoked duck in gravy served on the side. The smoked duck was savoury, tender and soooo juicy! The gravy served with the duck was on the saltier side, to balance up the tasteless broth. 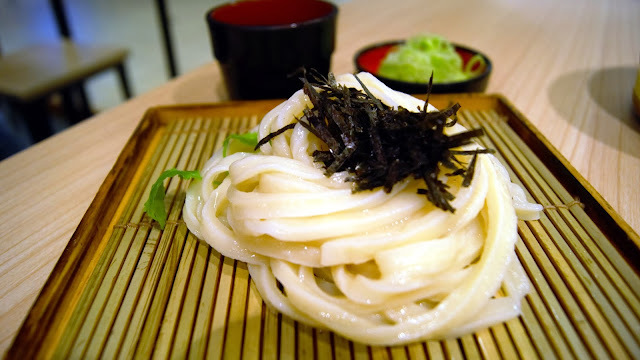 A traditional Udon dish cooked till al-dente & served alongside with a warm, kamage dipping sauce. How do you eat it? You dip the strands of noodle into the sweet kamage sauce bursting with the aromatic sesame taste. Truly unique & authentic. 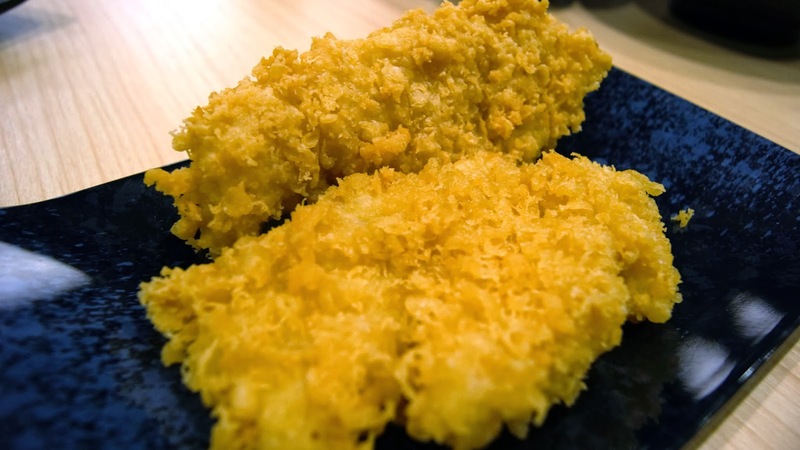 Despite being deep fried, the tenpura does not taste oily at all. 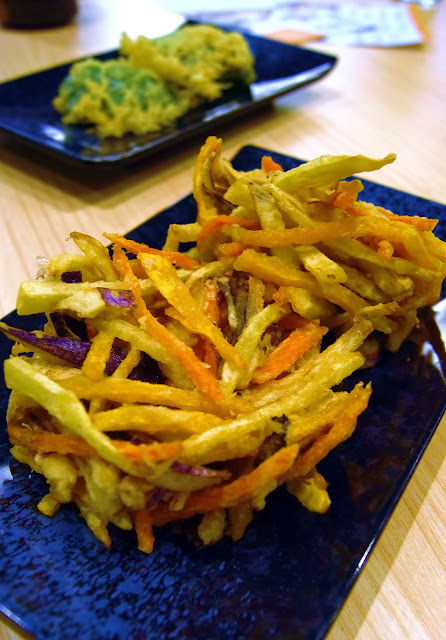 The mixture of 9 different kind of veggies give this tenpura a distinctive taste & texture. 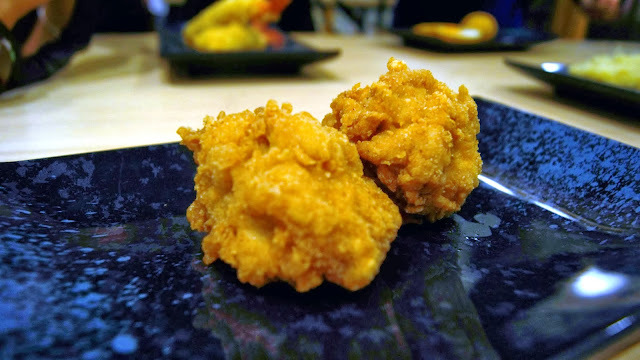 The deboned chicken piece was well-marinated and coated with a crunchy layer of tenpura batter. I really enjoyed it but some felt that it was too salty. Deep fried golden needle mushroom. 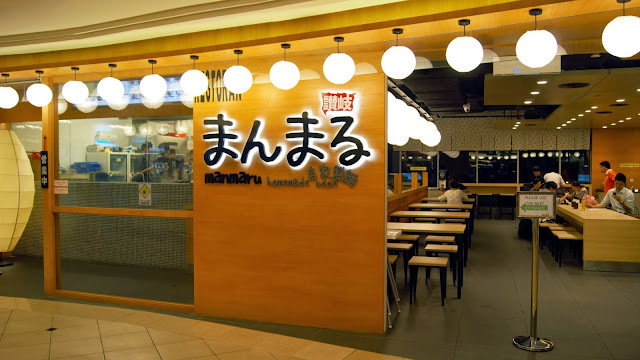 Really satisfied with the food there =) The "Q" and bouncy udon noodle certainly won my heart, along with the broth/gravy that accompanied along with the udon & the crispy tempura as well as the pleasant service.